South Florida Water, Inc. represents one of the largest manufacturers of residential water treatment systems in the state of Florida. We have a solid reputation as water experts and would like to put our expertise to work for you. We are equipped to service all your filtration needs, whether it be water softeners, water conditioners, salt free conditions, well water systems or iron or sulfur well systems. Our service area covers Brooksville, FL, Land O Lakes FL, Wesley Chapel FL, Zephyrhills FL, Odessa FL, Lutz FL, Tarpon Springs FL, New Port Richey FL, Spring Hill FL, The Villages, Ocala FL, Plant City FL, Dade City FL, Wimauma FL, Ruskin FL, Riverview FL, San Antonio, FL Valrico FL, Lithia FL, Parrish FL, Apollo Beach FL, Lakeland FL, Bradenton FL, Kissimmee FL, Clermont FL, Winter Garden, FL, Lake Nona, FL, Windermere FL, Sanford FL, Longwood FL, Groveland, FL St. Cloud, FL and more. South Florida Water is an accredited Better Business Bureau company with an A+ rating. 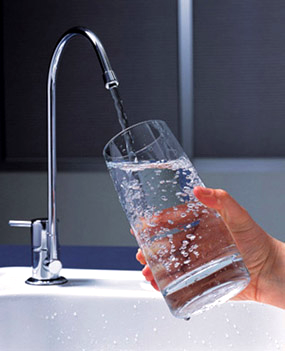 Our water treatment systems improve the water that touches everyone and everything in your home. Service before and after the sale really sets us apart. Your satisfaction is our #1 priority. At South Florida Water, Inc. we believe in taking care of our customers. Our care takes place before, during and after the sale. Our factory trained technicians and professional installers are ready to support you every step of the way! Note: If your home is not plumbed for a water softener, don’t worry. We can easily get you set up with a system with far less intrusion than you’d think!